NJPW Road To Tokyo Dome Cards Revealed: Kenny Omega And Kota Ibushi Teaming Up - Wrestling Inc.
Before we get to Wrestle Kingdom 13 on January 4, NJPW will hold two Road to Tokyo Dome events on December 14 and 15. Last night, the cards were revealed and Hiroshi Tanahashi, Will Ospreay, Togi Makabe & Toru Yano vs. Kenny Omega, Kota Ibushi, Yujiro Takahashi & Chase Owens will main event the first show. Hiroshi Tanahashi and Will Ospreay vs. The Golden Lovers (IWGP Heavyweight Champion Kenny Omega and NEVER Openweight Champion Kota Ibushi) will main event on December 15. 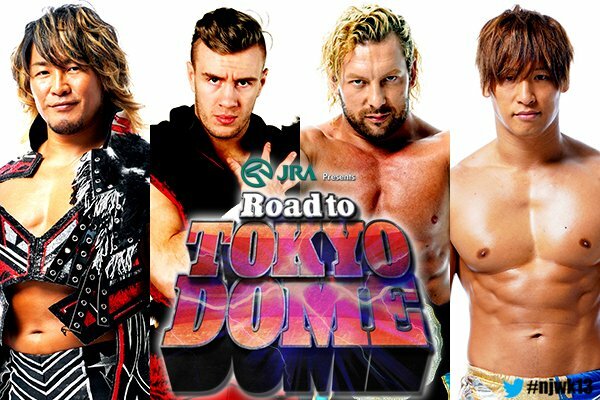 Omega will be facing Tanahashi at NJPW's biggest show of the year, while Ibushi will defend his title against Ospreay. Below are the full cards for the shows coming up next week. Below is the card for Wrestle Kingdom 13, which will air on NJPW World and Fite on January 4 at 3 am ET.